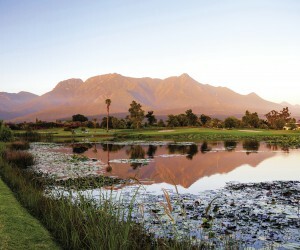 South Africa’s natural beauty is world-renowned. Ours is a land blessed by nature, and steeped in culture, myth and legend. Everywhere you go, wild open spaces beckon, and the roar of the ocean calls your name. Forests, fields, hills and mountains invite you into their embrace. We went in search of some of South Africa’s truest treasures – most of them places a bit off the beaten track, but places you will never forget. This is what we found. Mpumalanga is known for many things – sights, sounds and experiences that are unique to the province. One of these is its Cultural Heartland, an area renowned for the colourful geometric artworks created by its inhabitants and which are famous around the world. Whether you are from South Africa or abroad, it is here that you will encounter the true spirit of Africa, brought to you by the Ndebele people whose indigenous wisdom and creativity combine to create lasting works of art. It’s a place overflowing with colourful Ndebele arts and culture, crafts and curios. Villages such as Kwaggafontein, Matibidi, Waterval and Twoline are established fixtures on the tourist map, and visitors enjoy authentic South African rural life. Just down the road, so to speak, is the village of Botshabelo, where the Bible was translated for the first time from English into Ndebele. Limpopo, too, is spoilt with natural beauty, endless open spaces and memorable experiences. Perhaps one of the least known of these places is Valley of the Olifants, situated in the valley of the great Olifants River that carves its way through the Kruger National Park, forming the southern border of the Limpopo province. The Valley of the Olifants is famous for its totem tree, the baobab, which is the world’s biggest succulent. This is the land of big things, big experiences and big surprises. Here the biggest beast of them all, the elephant, roams unhindered, silently on padded feet through dense bush and across open pastureland. If it’s Easter, soon you will find yourself at Zion City, Morija, amid millions of faithful who have trekked from all corners to pray and to celebrate. It’s one of the biggest gatherings of human beings on the planet. The timber village of Haenertsburg is another must-see, as is the Big Baobab near Modjadjikloof, named after the famous Rain Queen Modjadji who, legend has it, still rules the area. It is said that Modjadji is descended from the royalty who once ruled Monomotapa, the ancient Karanga Kingdom to the north in Zimbabwe. Keep going toward Phalaborwa, a stone’s throw from the Kruger National Park, and spend some time at the Elephant Hall Museum at Letaba Rest Camp, then head on down to hunting country and the town of Hoedspruit. The Valley of the Olifants is, indeed, dotted with fabulous places to see and things to do. But it’s not only about elephants. A must-see is the famous cheetah breeding centre at Hoedspruit, and the Wildlife Rehabilitation Centre at Moholoholo. North West has always been seen, somewhat unfairly, as something of a Cinderella province – always the bridesmaid, never the bride. But did you know that North West has its own Texas? Indeed, the Bophirima Region, packed as it is with game farms, wild open places, fossil sites and much, much more, has long been known as “the Texas of South Africa”. This is a place to which to escape, to seek and find nature, to commune with her and relish her every embrace. Bophirima, which was once known as Stellaland, contains a large agricultural district and is the region in South Africa with the smallest population. It produces a third of South Africa’s maize, as well as sunflower oil, groundnuts, fruit, tobacco, cotton and wheat. Vryburg is the area’s biggest town, and here you will find one of the largest cattle herds in the world. It is surrounded by game ranches and game reserves, many of them teeming with lion, buffalo, rhino and antelope. Then there is the Leon Taljaardt Nature Reserve, where white rhino, wildebeest, buffalo and zebra abound, and Molopo Game Reserve – 23 000 hectares in the west of the province – which is a wildlife experience to treasure forever. Golden plains of crops, golden dawns and even more golden sunsets. That’s the Free State Goldfields – an abiding fixture of this, the golden province. Now the area’s name has been eclipsed by the more African “Lejweleputswa”, meaning ‘gray rock’. It’s an area at the very heart of South Africa’s agricultural belt, and includes two of the province’s nature reserves. The rare beauty of Lejweleputswa is made up of landscapes rich in gold, orange and red, rolling hills and far-off sandstone mountains. Even in winter, the sky is a hazy blue and sunsets are etched in memory forever. Did you know, though, that the area not only supplies much of South Africa’s gold, but also a large proportion of the silver produced in the country? Here you can go on a fascinating underground mine tour, visit the Goldfields Wine Cellar in Theunissen, Winnie Mandela House in Majwemasweu, Brandfort and the Aco tractor factory near Hoopstad. Lejweleputswa has all this to offer and much, much more. Ahh, the Northern Cape… Here nature truly operated with a free hand. We are in the Upper Karoo, land of wide open spaces, solitude and a dry soil that, almost miraculously, bursts into life after rain – turning the landscape into a place of colour, beauty and life. The region’s cattle graze on an abundance of succulents and grasses, and wind pumps dot the plains. Streams meander everywhere across the dry yet fertile soil. Spread over half-a-million hectares, greater Colesberg breeds many of the country’s top merinos. 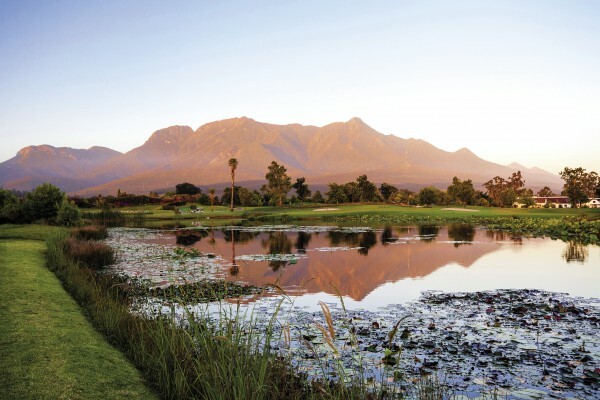 It is also racehorse country, and stud farms – one of them owned by renowned golfer Gary Player – spring up everywhere. Colesberg was founded in 1830 on an abandoned station of the London Missionary Society. It was initially named Toverberg after a nearby hill, but was renamed Colesberg after Sir Galbraith Lowry Cole, then governor of the Cape Colony. Colesberg was the scene of many battles during the second Anglo-Boer War and the Colesberg Garden of Remembrance is located just outside the town. As a tourism hub, it is without peer in the area. A hotel, motel and numerous guesthouses welcome visitors from far and wide, and restaurants are famous for their Karoo lamb. A number of guest farms in the area offer 4x4 trails, mountain bike trails, game hunting (mainly springbok, wildebeest and blesbok) and bird watching. Gauteng (the Sotho word for “Place of Gold”) is the financial powerhouse not only of South Africa but Africa as a whole. It may be the smallest of the nine provinces, but it boxes way above its weight – a cosmopolitan melting pot of people from all walks of life, of all hues and from many corners of the globe. Just south of Gauteng’s major city, Johannesburg, is the sprawling, buzzing township of Soweto – a place rich in history and whose name is known across the world for the critical part its people played in bringing down apartheid. The name Soweto is an acronym, made up – in apartheid days – from the first letters of the words “south western township”. Two million people live here, in homes that range from shacks to extravagant mansions. Cultural interaction is the order of the day, and enterprise and ingenuity reign. In recent years, Soweto has become a must-see on tourists’ itineraries. It is here – in Kliptown, to be precise – where the Freedom Charter was penned and the home of Nelson Mandela is a massive drawcard. The Hector Pieterson Memorial and Museum is another outstanding feature, and restaurants and shopping malls offer all you could need. Here you will find a range of subcultures. In the lives of young people, the Afro-American influence runs deep, albeit set in local conditions. Marvel at the local lingo, tsotsitaal – a colourful mix of several local languages, Afrikaans and street slang. It’s a unique South African invention! The Chris Hani Baragwanath Hospital, the largest on the continent, is a Soweto landmark; from the bridge leading to it, one can see the township’s huge expanse. There are matchbox houses in their thousands, yet also areas of sheer opulence. It is in Soweto, more than anywhere else, where the so-called ‘black middle class’ has established a meaningful presence. Diepkloof Extension, for example, is packed with magnificent houses, parks and playgrounds – a suburb much like any in Johannesburg’s plush northern areas. It would probably not be hyperbole to suggest that, unlike any other town, city or suburb in South Africa, Soweto stands out on the world map as a place where history was made, and where a people were freed from the shackles of oppression. No self-respecting tourist would visit Gauteng without at least a quick drop-in. One of KwaZulu-Natal’s best-kept secrets has to be the Valley of 1 000 Hills Route, which snakes its way around the huge valley created by the Mngeni River and its tributaries. Here artists are inspired to greater efforts, surrounded, as they are, by pristine hills and countryside the likes of which are not found anywhere else in South Africa. Book yourself into one of the numerous guesthouses that dot the area, then ramble about and visit some of the friendly pubs and tea gardens for which the Valley is famous – all of them with breathtaking views over the endless hills. If you don’t feel like driving, take a ride in the 1000 Hills Choo Choo steam train from Kloof Station to Cato Ridge on weekends. If you would like to see this splendid sight from above, be brave and take a microlight flip from Cato Ridge Airfield. A visit to the Valley of 1 000 Hills is not complete without a stopover at Botha’s Hill, which provides what must surely be one of the most panoramic views in South Africa, with a sheer drop of 500 metres. The Valley of 1 000 Hills is a once-in-a-lifetime place – evocative, alluring and beautiful beyond any telling of it (apologies to Alan Paton). In South Africa’s easternmost province lies a stretch of coastland wild, free and simply breathtaking. We are talking, of course, about the Wild Coast, which extends between the Mtamvuna River in the north and the Great Kei River to the south. Here you will find an untouched wilderness, where huge breakers crash onto pristine white, desolate beaches and the surrounding land is lush, dense and dotted with craggy cliffs everywhere you look. River valleys abound, and secluded bays lie glimmering in the sunshine, waiting for you to find them. Perhaps thankfully, the Wild Coast is remote and not easy to access. This is one of the reasons it remains one of South Africa’s most unspoilt places. This magnificent coastline stretches for 200 kilometres and is, in many parts, inaccessible to all but experienced hikers and those on horseback. Over the centuries, the Wild Coast served as a border for much of the conflict between British colonists and the rural Xhosa people who have lived there since time immemorial. Another big plus is the weather, which is always mild. Indeed, there are very few days in the year when the sun doesn’t shine. Hear the call of the fish eagle in the clear blue skies above, while discovering dense forests with prehistoric cycads, sneezewood and yellowwood trees. This is the Wild Coast – a true South African treasure. You want off the beaten track? You got it…Cape Agulhas, the place where two great oceans – the Indian and Atlantic – meet, is the southernmost tip of Africa. This far, and no further. There is an official spot, right on the beach, marking the very tip, with a plaque providing a brief explanation. But, plaque notwithstanding, for most visitors the real sign that this is the southernmost tip of Africa is the iconic red and white Cape Agulhas Lighthouse. Don’t be afraid of the wooden flights of steps that look more like a makeshift ladder (they have carried thousands before you) and take a climb to the top. It’s a view to die for. Later, amble across the wooden boardwalk going out a few hundred metres into the sea, and marvel at the incredible views as the two oceans crash around you. You are bound to get into a heated debate here about where the two major currents that dominate seas in this area actually meet – at Cape Agulhas or Cape Point? Cape Agulhas also boasts the Cape Agulhas National Park, where there is a wide range of accommodation. And all around, the wild ocean beats against a rocky shore. Here the waves can reach heights of 30m, so it’s no surprise that the coastline is littered with shipwrecks of every size and shape. Each has its own story to tell, as does this very remote but truly beautiful tip of Africa.